On the edge of North Nashville and a ten-minute drive off of I-40 sits the lab and office of Tennessee State University Professor Jianwei Li. With microscopes, buzzing spectrometers, and dangling lab gear all around, Li works to explore the mysteries of the changing world of agriculture. “Many populations [in Tennessee] are depending on agriculture,” Li says. With piercing bright lights illuminating his office, Li explains how the old habits of farming that have served past generations of Tennesseans well may be approaching a level of obsoletion. Turning towards the present, Li points out that Tennessee and the Southeast in general has experienced only a moderate 0.5 to 1 degree Celsius temperature increase according to IPCC data of recent decades. The temperate nature of Tennessee’s climate has made crops somewhat ready for extreme temperature change. “I don’t hear about anything bad in this region, yet,” Li notes. Nick Gawel, superintendent of TSU’s McMinnville Nursery and expert on nursery production, echoed Li’s sentiment that changes in crop growth have not likely hit Tennessee yet. “Fortunately, middle Tennessee has a lot of surface and groundwater,” Gawel posits, further emphasizing the rather fortuitous position Tennessee growers find themselves in. Nevertheless, changes are in store for the Volunteer state in the near future. With over 90,000 farms in the state that are directly or indirectly responsible for adding over $20 billion to the economy, agriculture is a staple in the lives of many Tennessee residents outside the large cities of Nashville, Memphis, Chattanooga, or Knoxville. Minor disturbances in temperature or rainfall can inhibit agriculture in ways those unfamiliar with the industry may not deem noteworthy. The low end of projections of human-caused climate impacts go well beyond these minor disturbances, and researchers are starting to take note. Some of the most widely grown crops in Tennessee are soybeans, corn, cotton and wheat. One unknown impact of climate change that may affect the yield of the above-mentioned crops is nutrient availability. Li emphasized nitrogen and phosphorous as two particular nutrients that are vital to crop growth and highly studied to predict crop yield. In the world of climate change, “Will nutrient availability be high and help growth or be low and hurt? Probably both,” says Li, responding to his own question. With regards to nitrogen, Li started down an all too auspicious narrative stating how increased temperatures can in fact interact with nitrogen to form a type of fertilizer input. While a burst in growth may initially follow, Li notes that this is an unsustainable path, as most studies point to a decrease in crop yield with temperatures rising. Furthermore, “take wheat for example,” Li explains. The growth of wheat depends partly on the number of degree-days the crop gets i.e., the number of days a crop is exposed to a certain range of temperature. Thus, as temperatures increase and the wheat crop does not receive the required amount of degree-days, the crop yield will decline. Gawel explains that “niche crops,” such as blueberries, may already be experiencing changes in growth in the Northeast, but there has probably not yet been “a marked impact on…huge row crops” that are more common in the Tennessee area. The modern day climate change impact on these niche crops gives Tennessee growers a glimpse into the future of potential damages to their own crops. In addition to regular row crops, the other main component of Tennessee agriculture is livestock. Professor Forbes Walker of University of Tennessee at Knoxville notes that roughly 800,000 to 900,000 beef calves live in Tennessee, for instance. Preparations are under way for the impact more droughts will have on traditional methods for feeding livestock. “Droughts typically happen in the middle part of the year,” Walker says, when, ideally, farmers would be able to keep hay for the winter months when pastures are not expected to be growing. The type of grass used for forage in Tennessee is mainly tall fescue, which is a cool season grass and is not grown in summer months. Thus, with higher temperatures in early months and the consistent possibility of droughts, Walker mentions that many in the farming community are looking into growing more warm season grasses such as Bermuda, crabgrass, and Johnson grass. 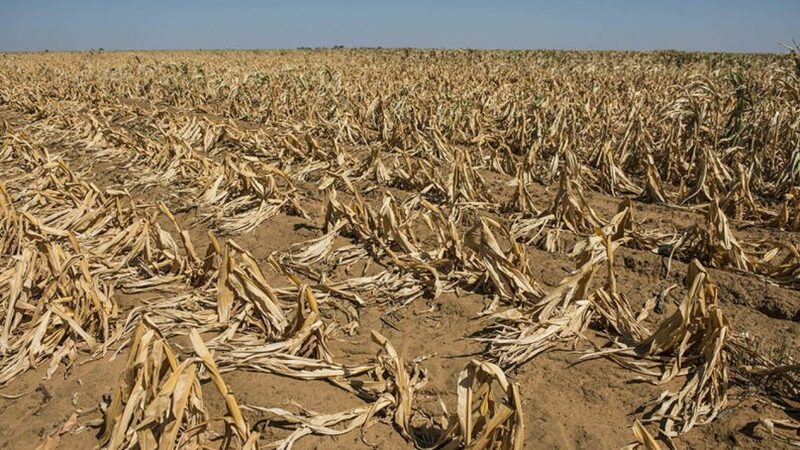 Another important climate change impact that both Professor Li and Gawel see as potentially devastating for crop growth is a change in growing season. While to the layperson hotter temperatures may mean an earlier, longer growing season, the reality is not so rosy. “Disease and other environmental factors may not cooperate,” Li contends. A crop that usually grows in March, for example, may naturally miss a disease that permeates through the field in February. But an earlier growth could bring the crop and disease on a collision course. “[Farmers] may see new pests that have not been a problem in their area before, or even totally new pests to a crop,” Gawel believes. “It’s a real challenge,” Professor Li notes of all the attempts to preserve and maintain agrarian ways of life with such a swiftly changing climate. Efforts such as bringing crops from more tropical settings that are accustomed to higher temperatures or creating more heat and drought resistant seeds are among potential solutions. Yet, farming challenges faced in Tennessee should put into perspective the circumstances faced in other parts of country that do not start out with advantages such as a temperate climate or expansive stores of ground water. While scientists and academics study climate driven changes in nutrient availability, growing seasons, drought and flood rates, farmers around the country are becoming the first ones to experience the brunt of climate change’s ferocity. “When I talk to farmers, I don’t often talk about climate change,” Professor Walker says. “If we talk to them about droughts, they know about droughts; if we talk to them about floods, they know about floods.” The topic of most conversations centers upon finding cost-effective and reasonable solutions that adapt to the changing climate. Nevertheless, the personal experiences of individual farmers are inextricably linked to the influence of climate change. Walker cites the lack of rainfall in 2007 when most of the state underwent what is termed an exceptional drought, the deadly floods of 2010, and even recent flooding from the remnants of Harvey, to show that the climate change induced future is starting to be realized. Twenty minutes south of Professor Li’s lab sits the Tennessee agricultural museum, which commemorates and memorializes the history of agrarian life in Tennessee. The climate simulations used to predict crop yields or mass spectrometers analyzing microbes in soil are a far cry from the “Remember when everything was made by hand” exhibit at the museum. Nearby a Fordson tractor that was built in 1917 with a $395 market price, a sign lists all of the agricultural inventions created right here in Tennessee. From the mechanical cotton picker to the Black Hawk corn sheller, Tennessee has shown an ability to adapt, innovate, and embrace changes in the field of agriculture. In the coming world of climate change, all those in the agriculture industry must indeed be ready to combat a never-before-imagined reality. I require to know exactly how to watch my messages or comments on other individuals blogs. Exists anywhere I could go to obtain a checklist of all my messages?. Any aid valued. I simply want to mention I’m newbie to weblog and honestly savored you’re blog. Almost certainly I’m planning to bookmark your blog post . You surely come with beneficial well written articles. Thank you for sharing your web-site.